Being a Mum can sometimes feel like taking on a dozen or more jobs all at the same time, including carer, driver, cleaner, chef, entertainer, nurse, bank, artist, teacher, and not to mention being on call 24 hours a day! It can be a real challenge to give our kids the time and attention that they deserve, as well as fit in all the other demands of day to day life. To help make the most of your time, follow our tips on how to have good Time Management skills. Plan what you need to do in a day or a week. Make sure that you know what tasks you have to get completed, and by when, and make a list either on paper or on your handheld. Keep the list with you, and tick tasks off as you complete them. Be realistic about what you can achieve on any given day - you are not Super Mum! Work out what the most important things are that you need to do this week, and highlight them on your list. Make sure that you give these tasks enough time and attention, don’t leave them until the end of the week. Having a daily/weekly routine can free up extra time for you. If you set aside a whole morning, for example, to do household paperwork/emails/bill payments etc, every week, then you don’t need to worry about addressing these things for the rest of the week. You probably know your children’s routine very well (school/clubs/hobbies), so build your own routine around that. There will be a limit to the amount that you can take on. Learn what your limit is, and then have the strength to say ‘No’ to any extra demands on your time. Is what is being asked of you more or less important that other things that you have on your plate? If it is less important, then say ‘No’. No matter how busy you are, try and make space for some uninterrupted ‘fun’ time with your kids. Set aside time to play with them, read with them, talk with them. This is, after all, the joy of being a Mum! And you are important too! Try to have some time set aside each week where you can do what YOU want - have a relaxing bath, take a yoga class, go for a run, read a book. Recharging your own batteries will enable you be a more effective and happier Mum! 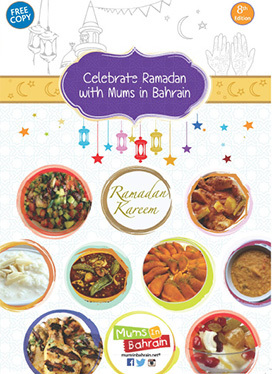 Check out www.new.mumsinbahrain.net/activities for more ideas on things to do with your kids, and how to spend your “me” time!